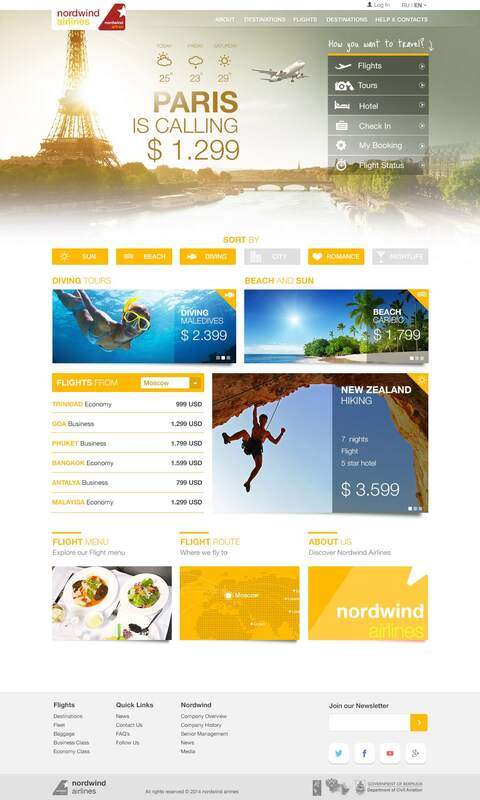 Nordwind is a russian Airline. They were looking for a new website and started a pitch. I created this functionally website design. 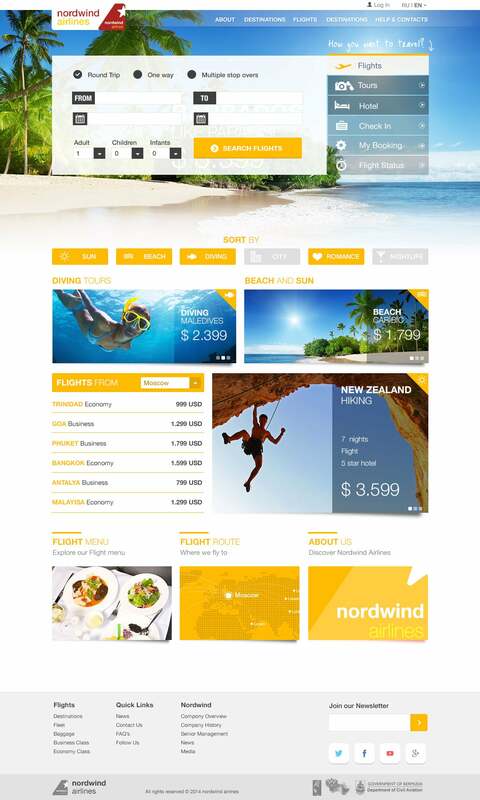 With wide images, bright colours and a nice Typography it should invite people to book a trip in paradise. 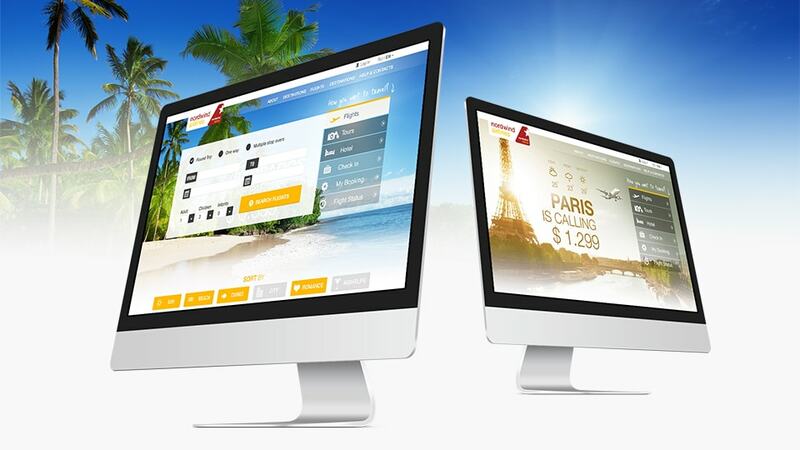 A quick access to personal data like "Your flights", "Your check-in" and "Your booking" on homepage was a must. To do not cover the nice images, i created a glassy Interface with a handwriting Headline.